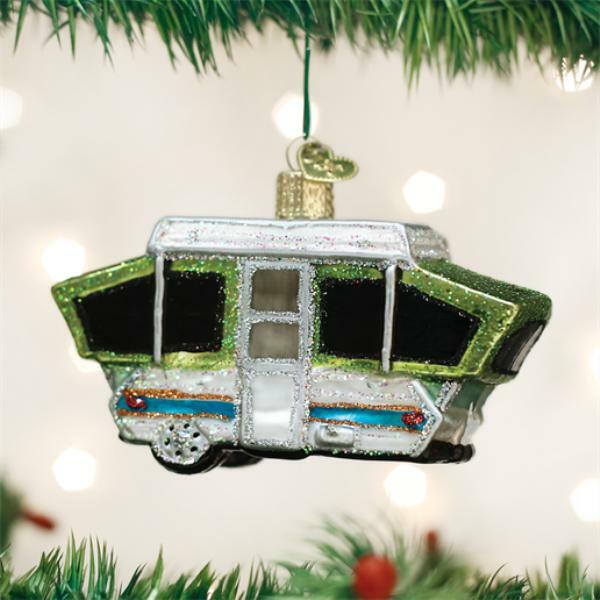 Old World Christmas Glass Ornament - "Tent Camper"
Home > Old World Christmas - Traditional Glass Christmas Ornaments > Old World Christmas Glass Ornament - "Tent Camper"
Tent or pop-up campers allow people to camp with a few comforts of home. Since they are towed behind a vehicle, they provide a "home away from home", no matter where the road leads. Setting up camp in the woods is a lot of fun and a great way to experience nature.